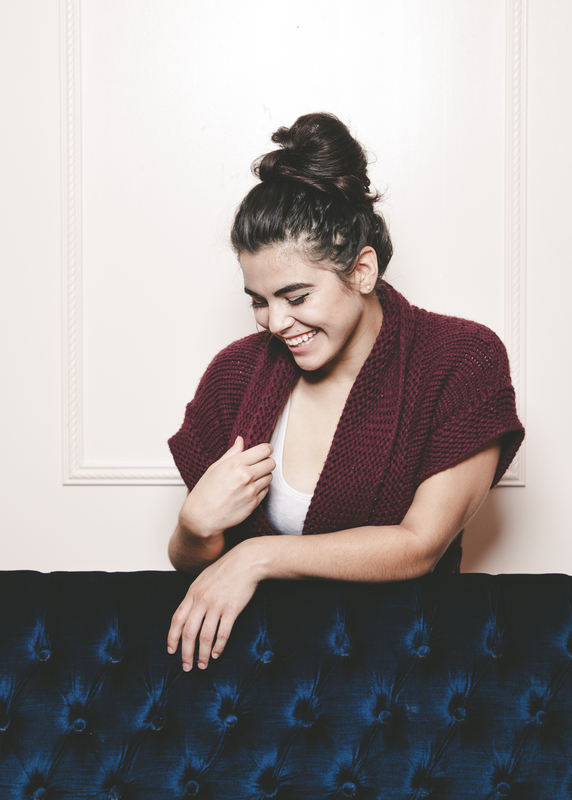 With sweater weather finally upon us, I like to wear my hair up to show off my favorite knits and scarves. 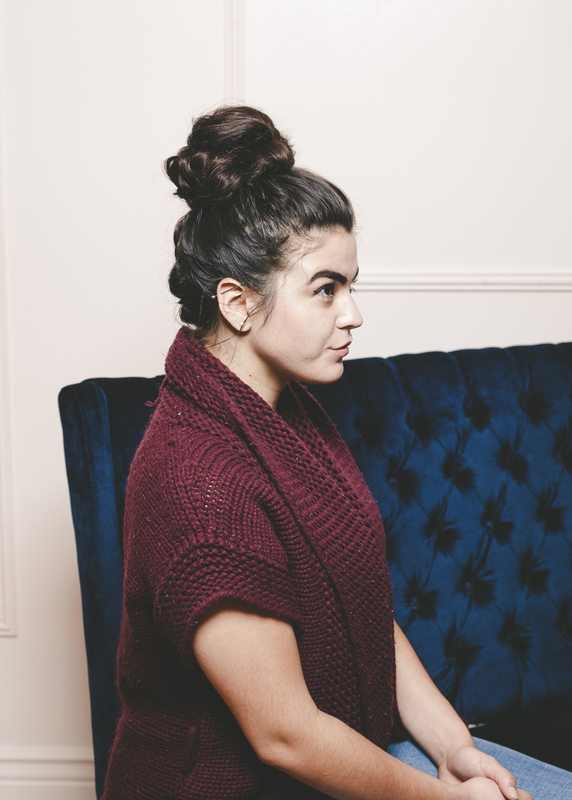 This braided top knot hairstyle is an easy way to mix up the messy bun and only takes a few minutes to achieve. Best of all, you can go product free (if you want) for this style. My favorite time to wear this is if I haven’t had time to wash my hair in the morning—it’s perfect for second-day hair. Here is what you’ll need. Remember, you can create this look sans product (if desired). 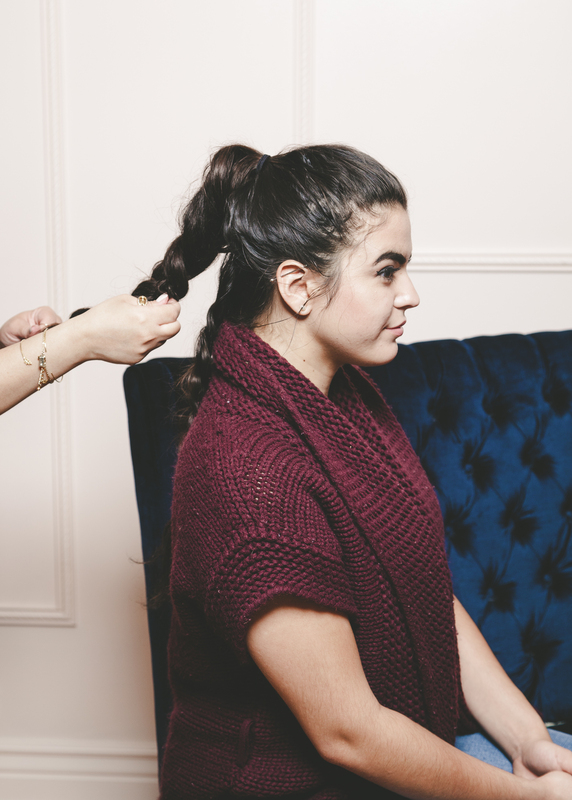 Step 1: Create your first braid. 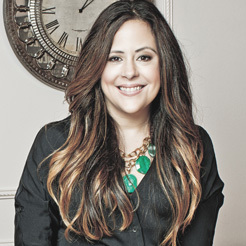 Lightly spray root-lifting product throughout the hair if opting to use product. Part hair into two sections at the crown. Step 2: Pancake the braid. Create a thick braid at the bottom section of your hair and pancake it to widen the braid. 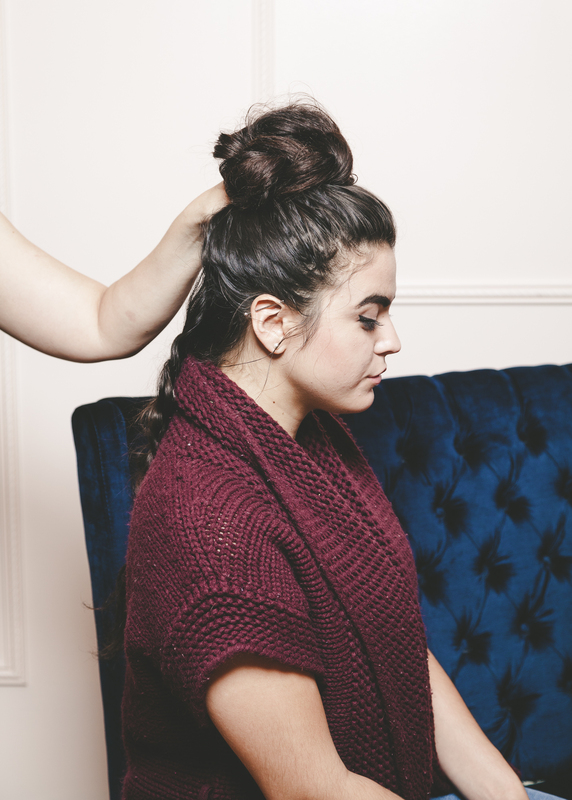 Pancaking is the simple technique of tugging at the sides along your braid to create dimension and texture. It’s best to start at the bottom of your braid and pancake upward to maintain the look of your braid. 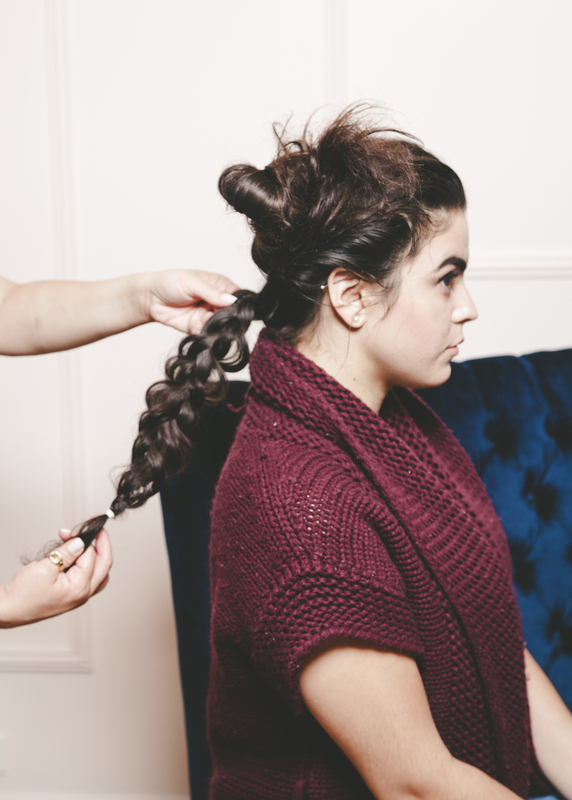 Step 3: Create your second braid. 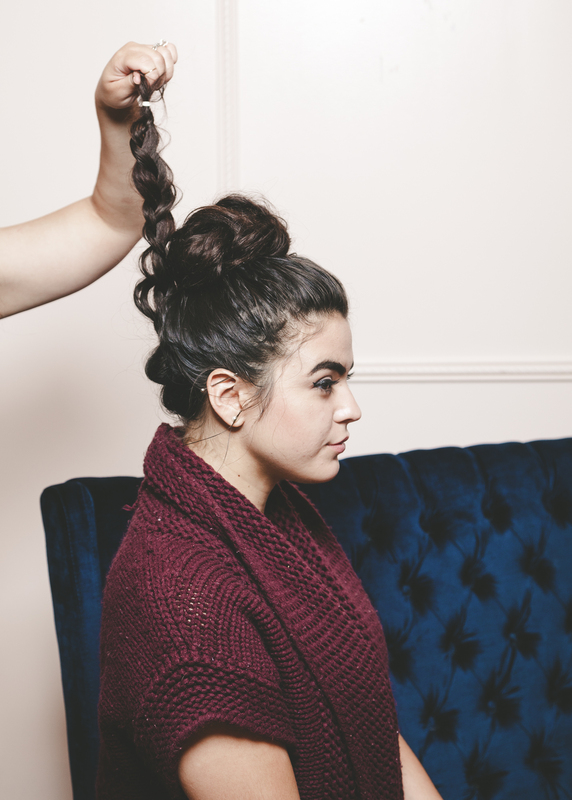 Form a top knot with the top half of your crown by placing your hair in a ponytail at the top of your head and loosely braiding it. Repeat the pancaking technique to widen your braid and make it look thicker. 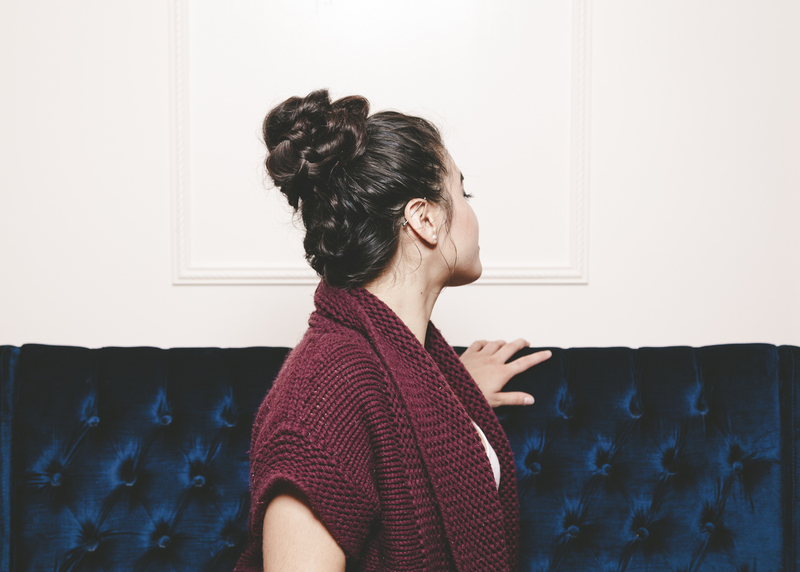 Step 4: Create your bun and connect braids. 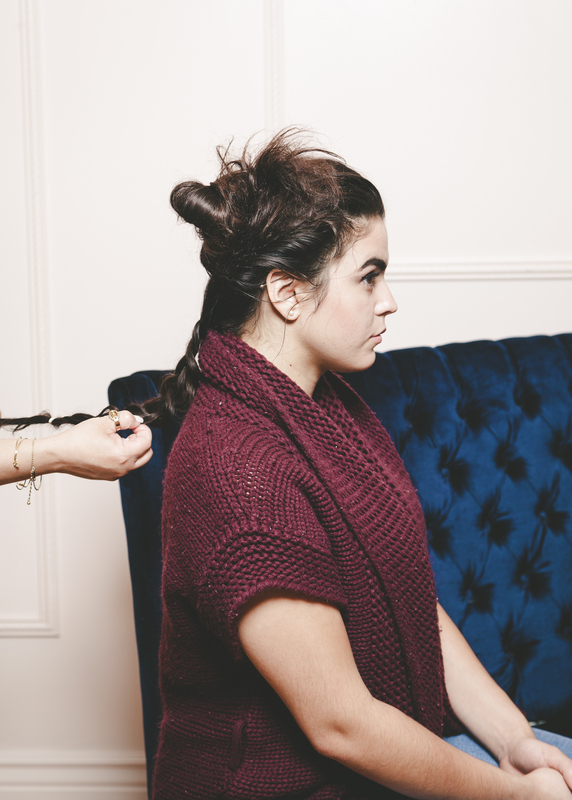 Once you’ve pinned your top knot braid, join the bottom braid into your top knot by lifting and pinning it at the back. Set your look with finishing spray if desired. Now your look is complete! This simple DIY will look fabulous with slouchy knits, chunky scarves, turtlenecks, and your favorite fall sweater. Enjoy! Let us know how you will be rocking yours this fall.